The Institute of International Education is a large non-profit organization that administers over 200 programs serving more than 20,000 individuals each year. IIE provides a wide range of services to and manages or administers programs for many corporations, foundations, government partners, and international agencies. In order to provide a safe, user friendly environment to upload and share photos, documents, and videos I was contracted to help implement a new system from the ground up. 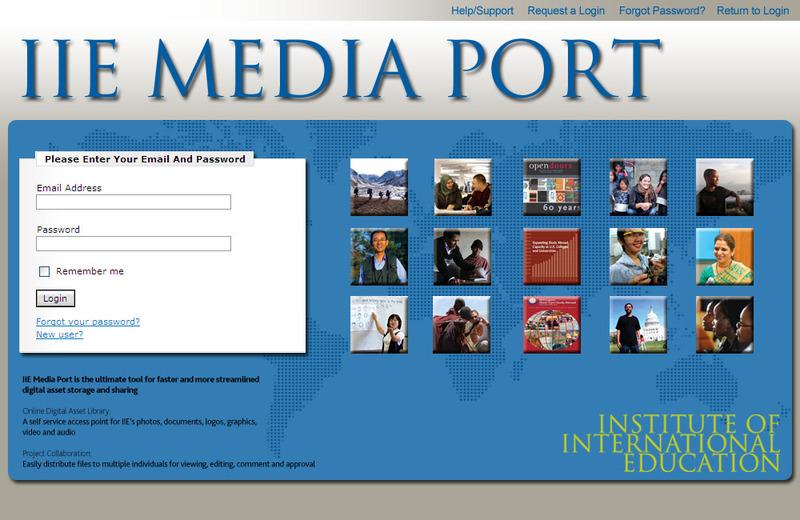 Working closely with our hosting partner, Widen, IIE Staff and I created IIE Media Port to reflect the Institute’s branding and mission. In less than a year since its inception, IIE Media Port held more than three thousand digital assets with over 700 users worldwide. The social sharing site was used to collect hundreds of photos from students all over the globe during the 2nd Annual IIE Photo Contest. The contest was much easier to run due to the central, easily accessible nature of the site.